Getting ready for a weekend getaway? 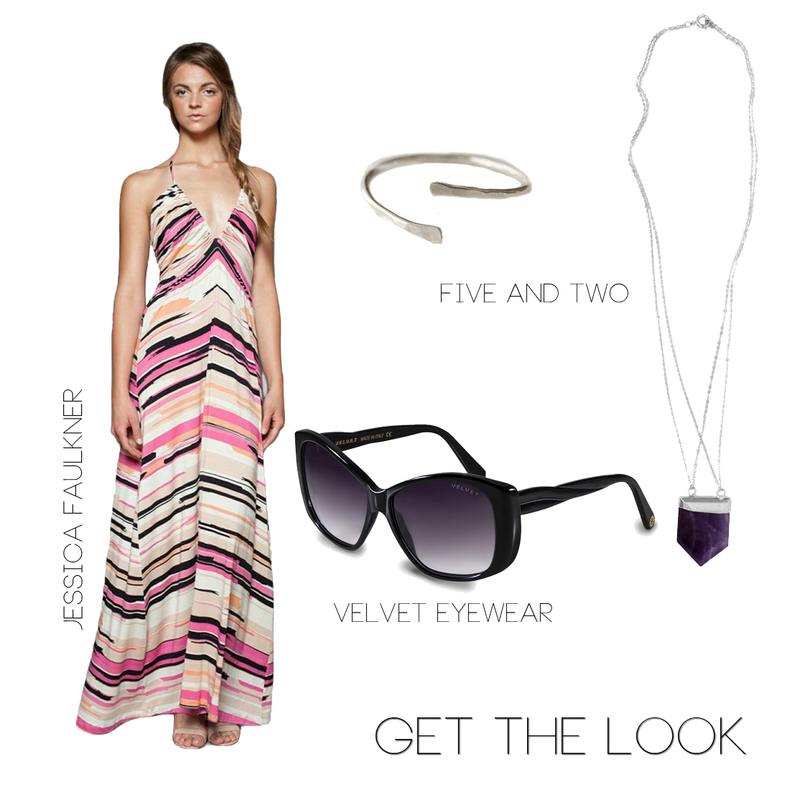 Pack your "Ghada Maxi Dress" by Los Angeles designer Jessica Faulkner. This perfect summer maxi easily transitions from day to night. Pair it with our "Phoenix Amethyst Necklace" and stacked "Veda Rings" in sterling silver, which are hand hammered and made in the golden state of California! Complete your look with the "Lola" sunnies by Velvet Eyewear.